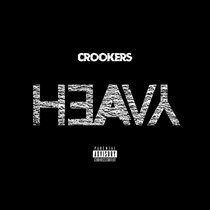 Francesco ‘Phra’ Barbaglia, AKA Crookers kick starts the New Year with a brand new video for his forthcoming single, ‘Heavy’. Recognised for his hi octane live shows and productions, this release may do well over the next few months. Phra’s last release, ‘Ghetto Guetta’ went back to the old school formula that gave Crookers its sound and racked up over 170,000 plus plays on Sound Cloud. The recent remix competition in conjunction with Sennheiser and Sound Cloud for the single garnered 300 entries with the winner to be selected by Phra later this month. Crookers remix of Kid Cudi’s ‘Day ‘N Nite’ reached #2 on the UK sales chart and Crookers’ debut album, ‘Tons Of Friends’ featured a lineup that included Miike Snow, Pitbull and Major Lazer. Phra has already begun work on his next album, planned for release this summer. Crookers will embark on a mini European tour throughout February.